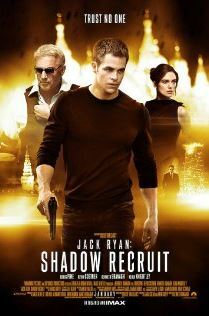 We haven’t had much time for movies the last few weeks but we did pick up Jack Ryan: Shadow Recruit one night and friends brought The Lego Movie to share over the weekend. Sadly, we fell asleep and missed the last 20-30 minutes of The Lego Movie. BUT, what we did see was clever and funny. We’ll have to watch it again one day so we can see the ending. Jack Ryan was a pleasant surprise. It’s not the type of story that usually appeals much to Don but he enjoyed it. The story, a Russian terrorist plot to devalue and destroy the American economy, was compellingly real. Which is scary to think about but entertaining for a movie for sure. I thought the performances were decent and there is definitely a lot of action. It’s not a A++ movie, but something I would recommend if you enjoy action, espionage, and the like. Green Lantern: Don’t worry, Superman, I’ll get you out of there! Superman: [covered in gum] No, don’t! Green Lantern: Oh, my gosh, my hands are stuck. My legs are stuck as well. Superman: I super hate you.